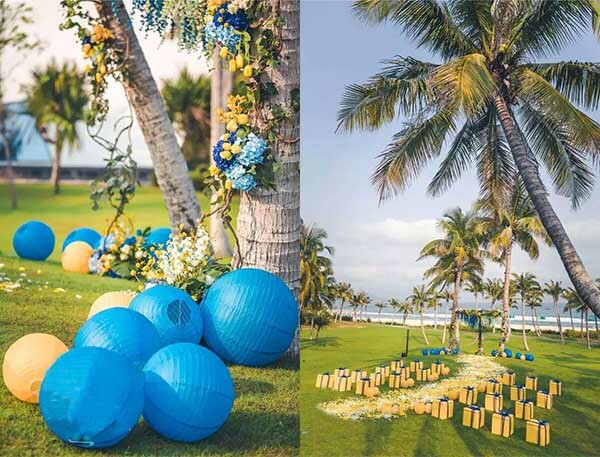 Abstruse noble blue and bright yellow, give calm sea, wide lawn wedding venues eyes light up. 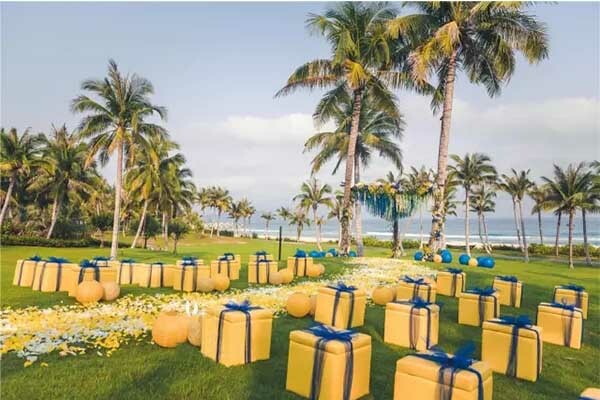 On your venues, guests sit on chairs shaped gift witness new couples exchange rings and vows. 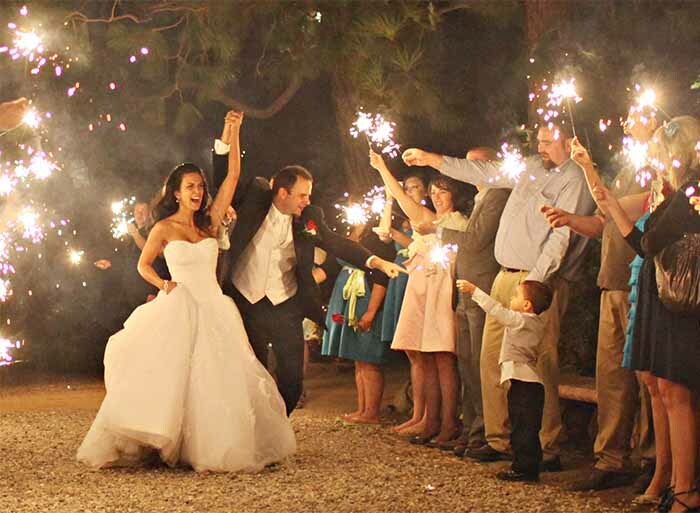 Music is the song groom sang for the bride on the day they fall in love with each other. 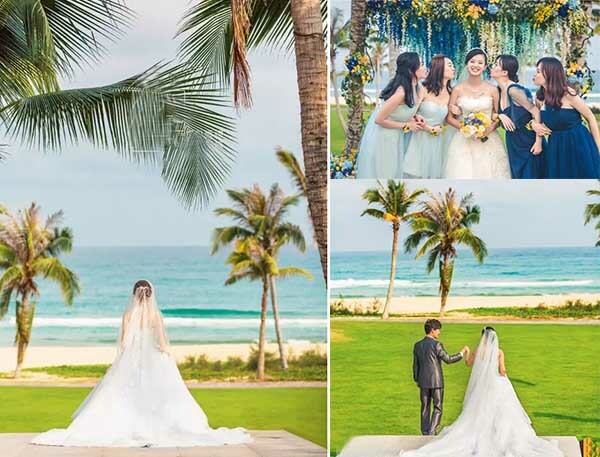 Warm sunshine with breeze, a turn back, we find the exciting on the face of groom when seeing bride in her wedding dresses, it is his first look. 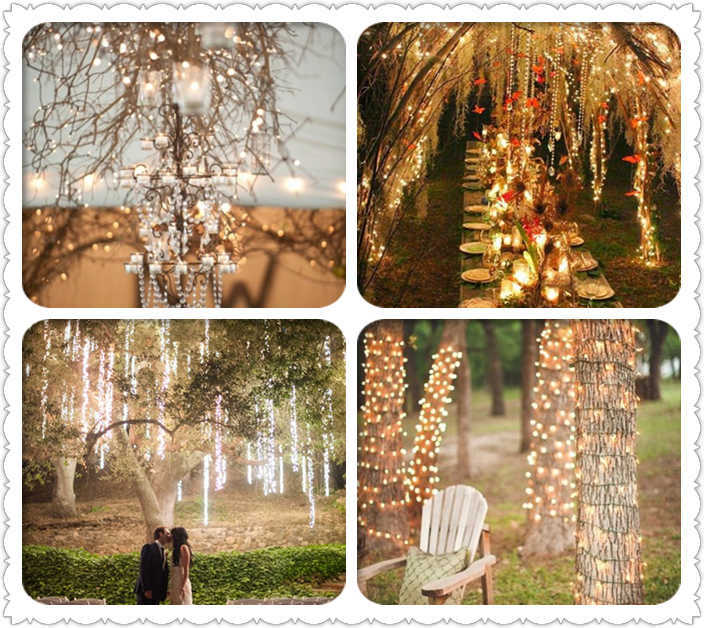 Title changed just one moment, but full of romantic love stories. 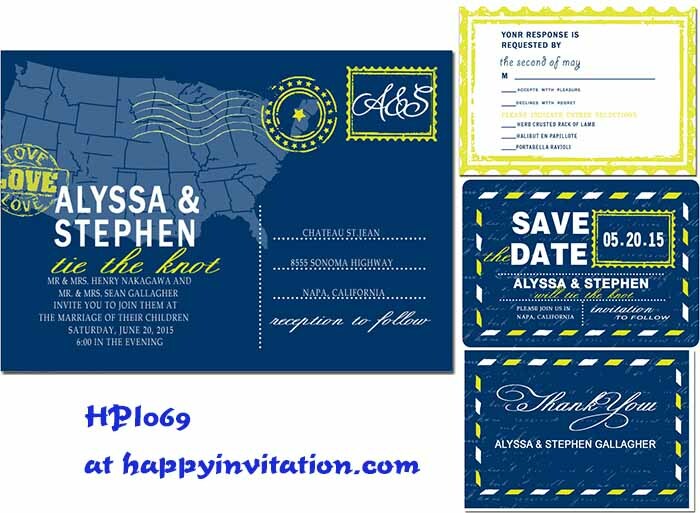 If you are planning a blue and yellow color wedding party, order and custom blue and yellow wedding invitations for your own wedding at happyinvitation.com. 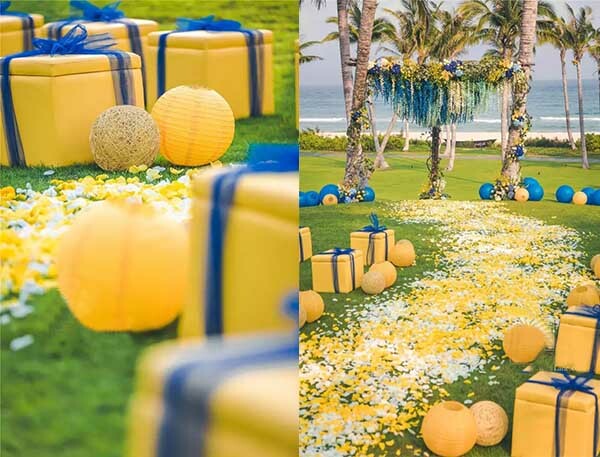 This entry was posted in wedding and tagged blue and yellow wedding, happyinvitation, wedding ideas, wedding invitations, yellow and blue wedding on November 23, 2016 by happyinvitation. 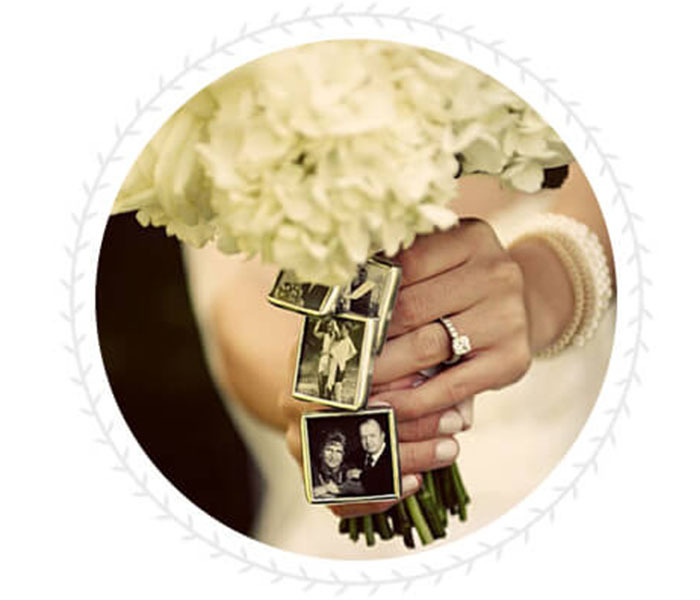 The aim of this blog is beautiful and cost-effective. 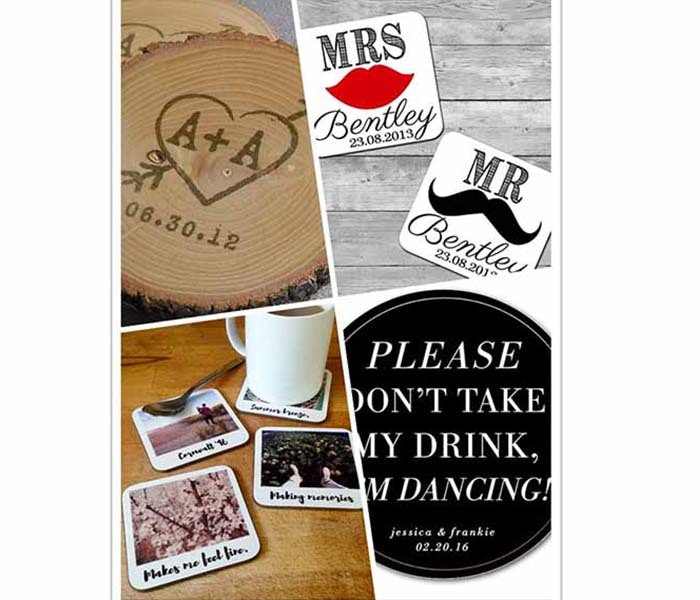 As we all know that wedding is a party of buy buy and buy. 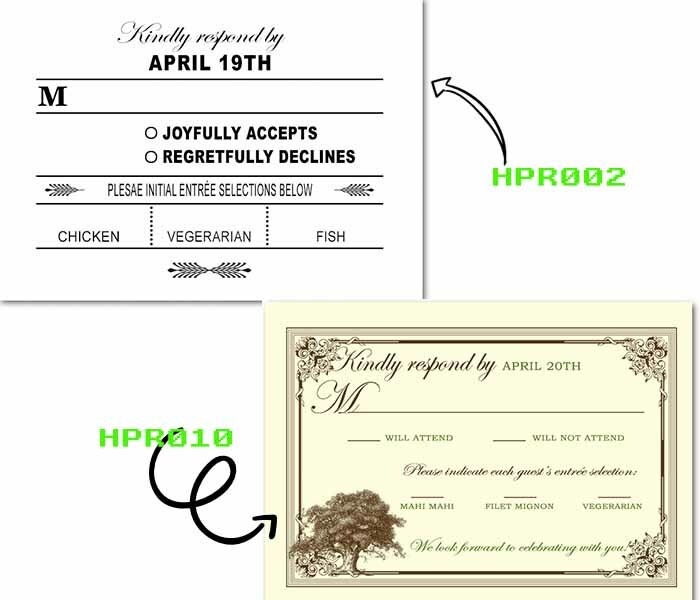 But it doesn’t mean that we could pay the bill for reckless expense with slogan of wedding is once in a lifetime. 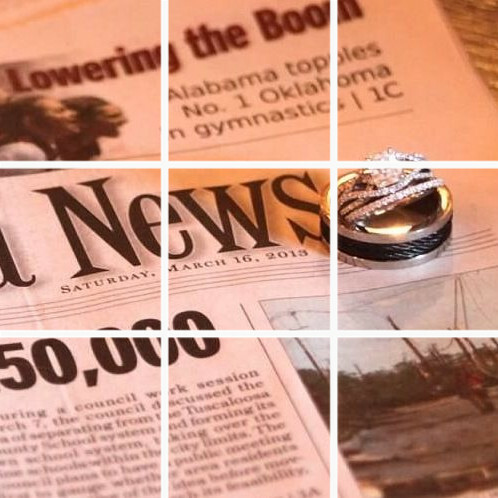 Some pay millions and millions to have a wedding shocked the world. 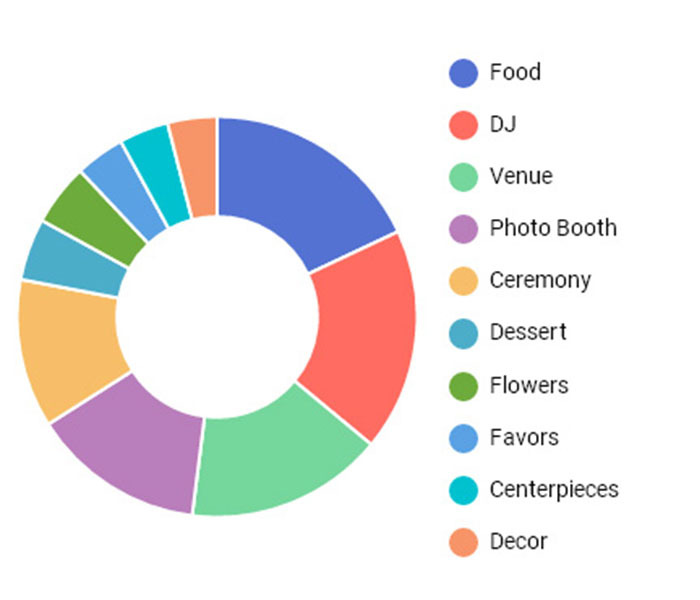 And some other thinks private wedding is irreplaceable. 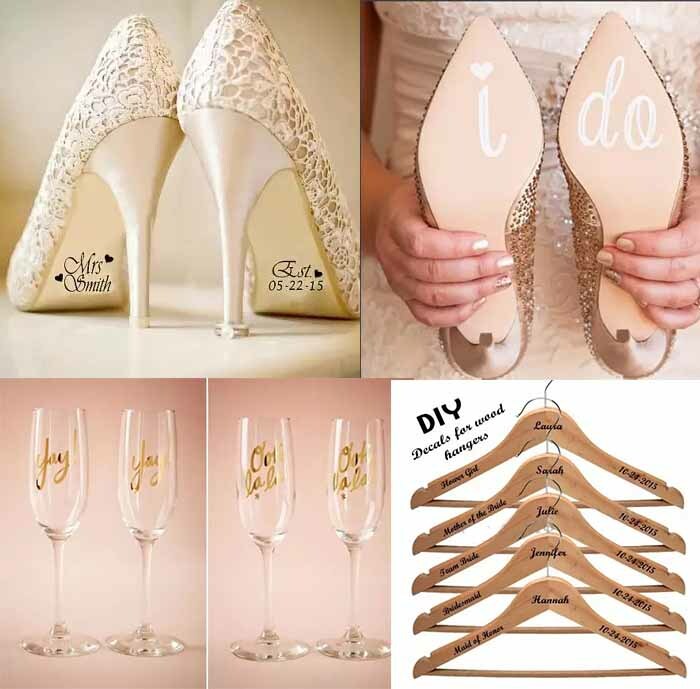 Whatever wedding beautiful is the most important, don’t worry about your money, the items recommended this blog are all affordable to everyone. 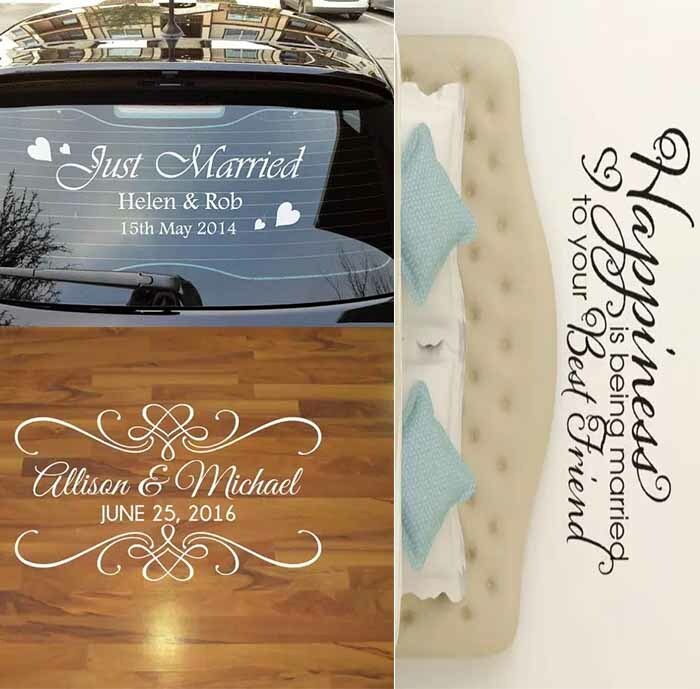 Some creative sticker, your name, your wedding date, and also wishes for wonderful life, or just “we are married” on wedding shoes, wedding cars, your bedroom, floor, hanger, wine glasses. 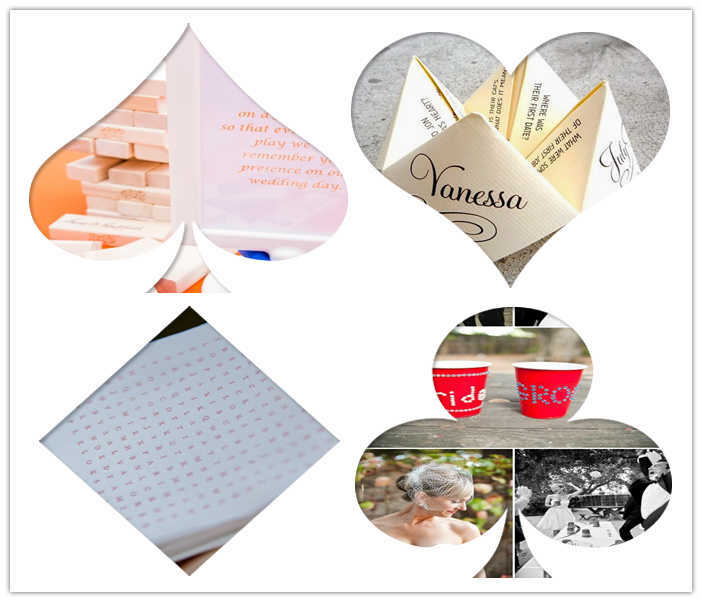 With decoration of these interesting stickers, your wedding level wills higher moment, meaningful and good for taking photos. 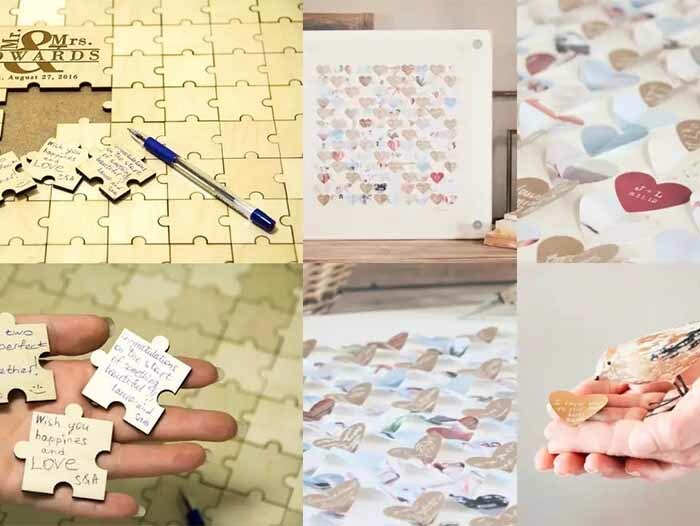 The key is all of stickers are not expensive. 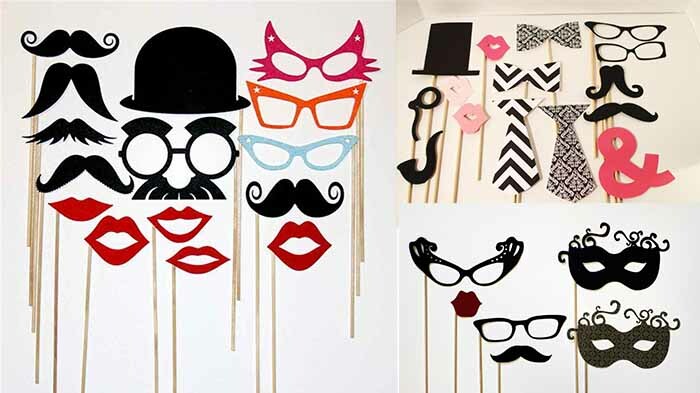 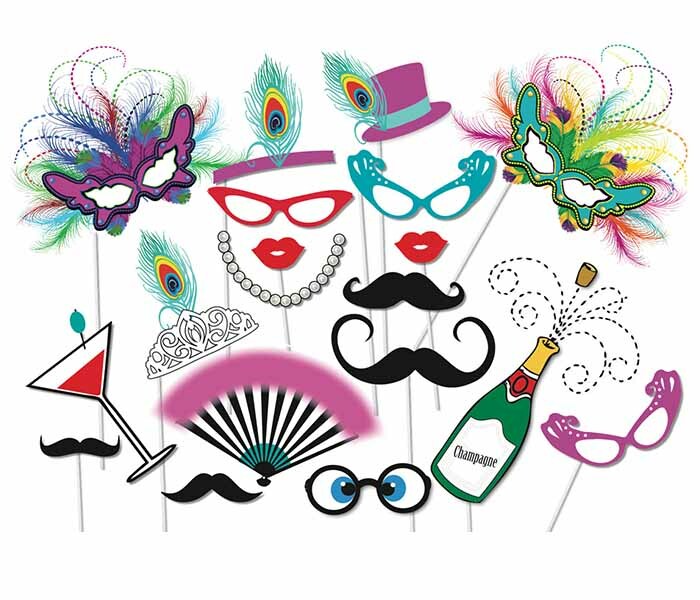 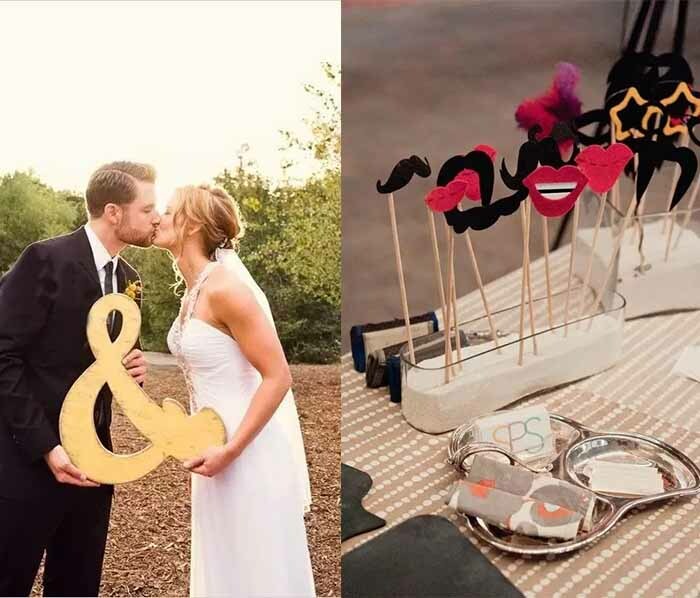 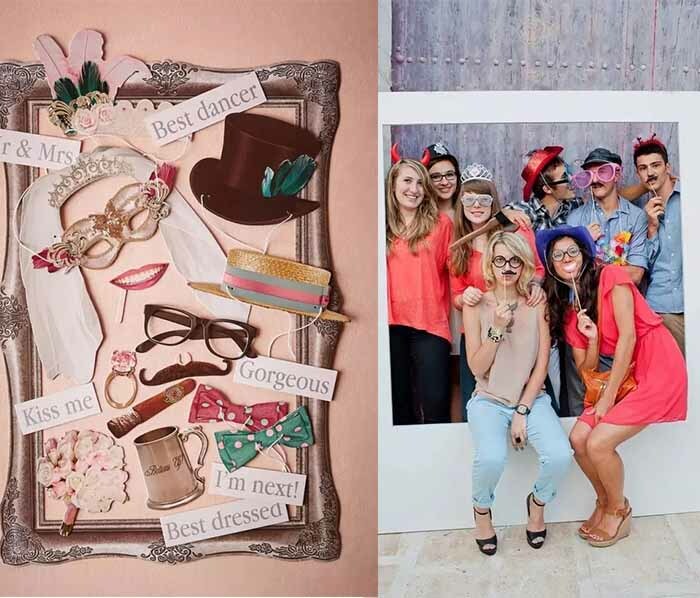 Like funny mask or just letters for the wedding couple and wedding guest to take funny photos on wedding party. 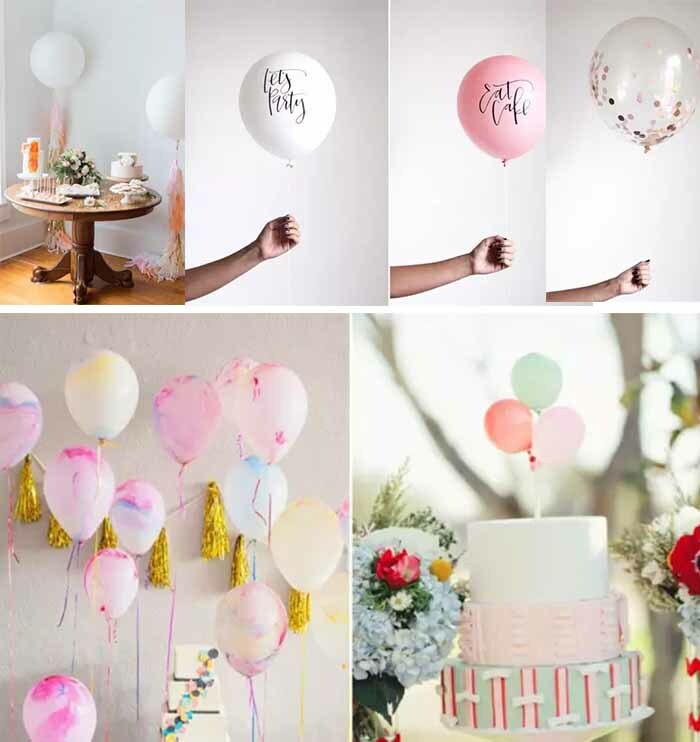 Types of balloon include letter printed balloon, filled by confetti balloons, decorated with tassels balloons, match it perfect with your wedding, it will be very charming. 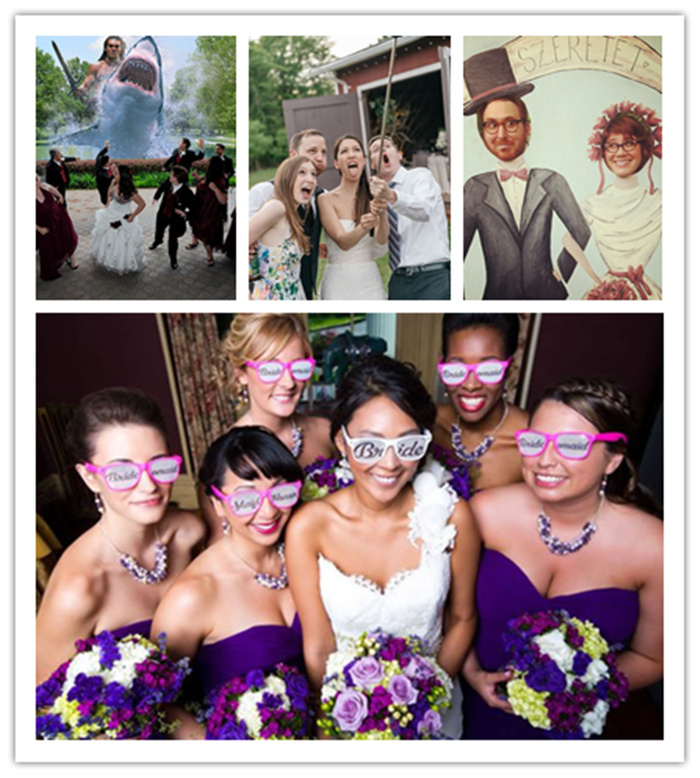 Signature book is necessary to a wedding, it record best wishes from friends and families on your big day. 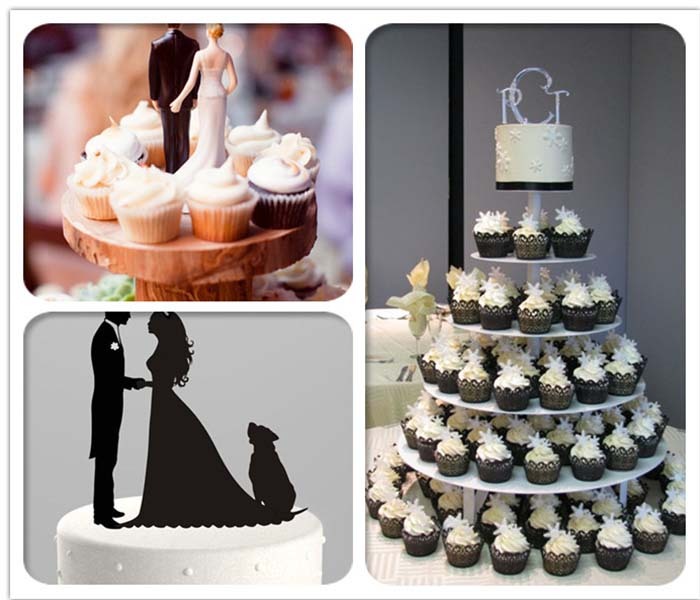 It is the first sign of your wedding when attendance to wedding venues. 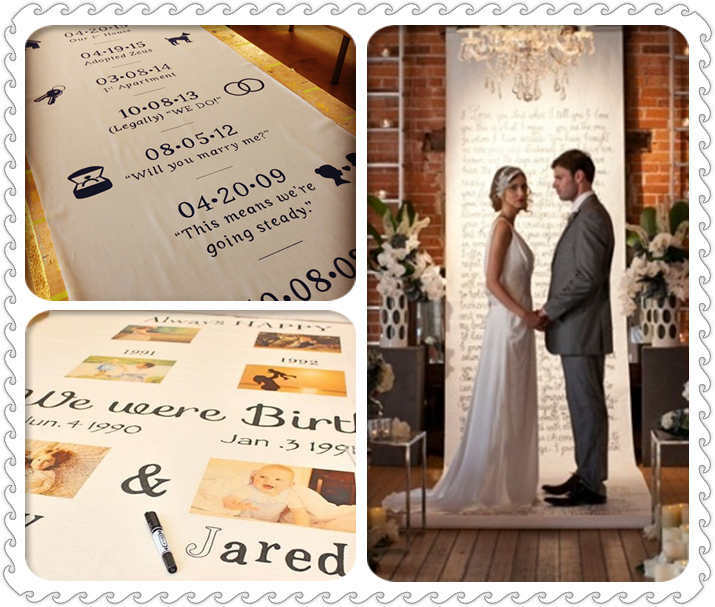 With a unusual signature book, your wedding will be different to others, such as fingerprint poster, Puzzle signature book, 3D stereo book. 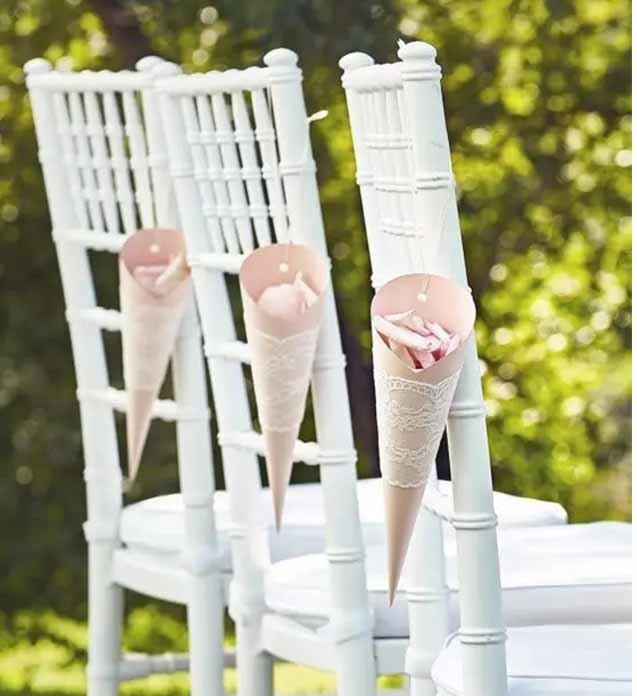 It is charming and safety, easy to clean. 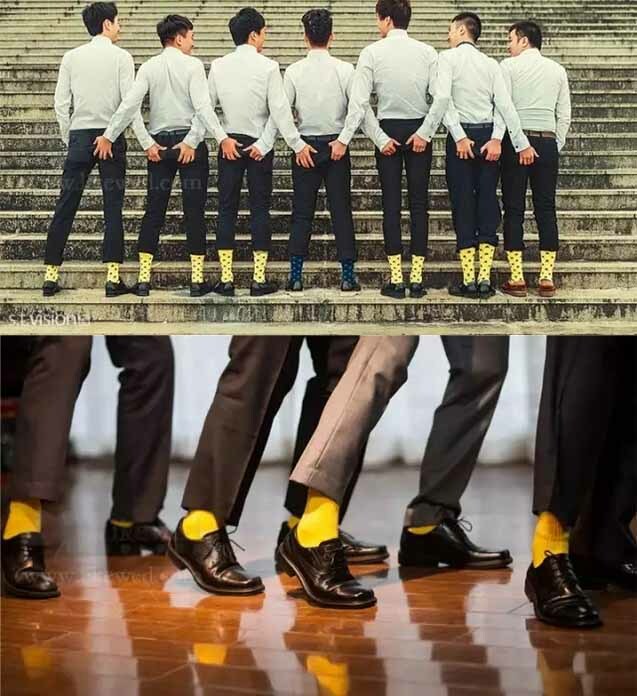 Socks are punchline of groomsman; they can be funny, handsome, and fascinating. 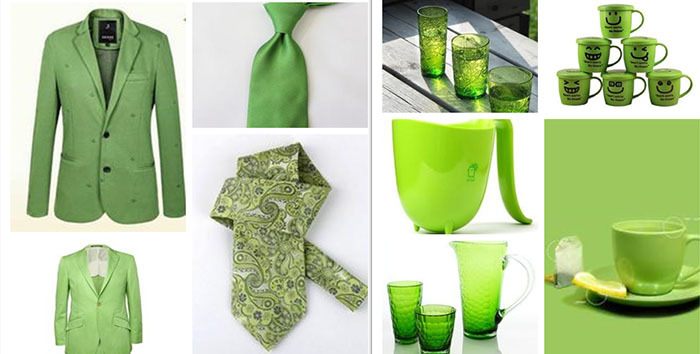 One word to describe the items recommended by this blog is perfect. 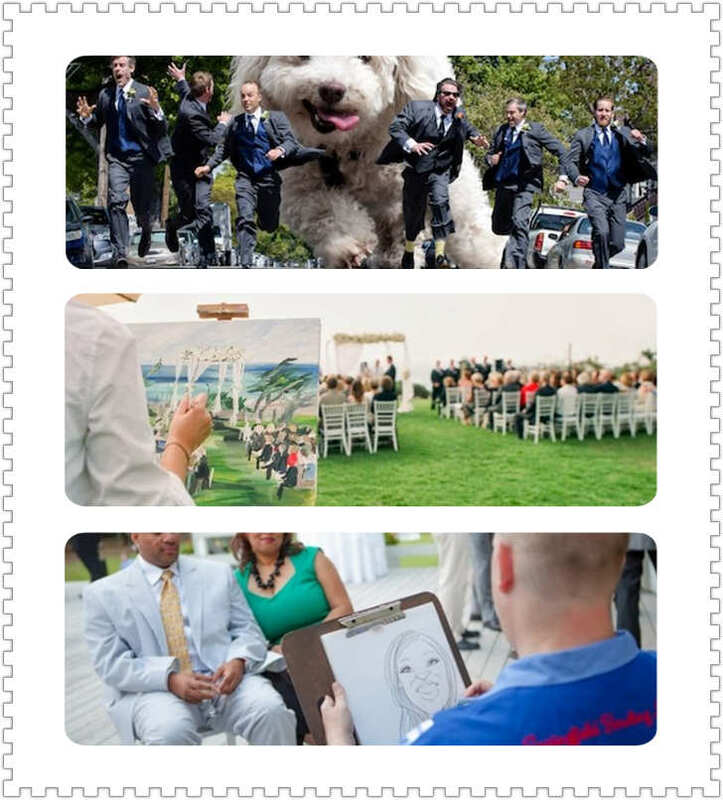 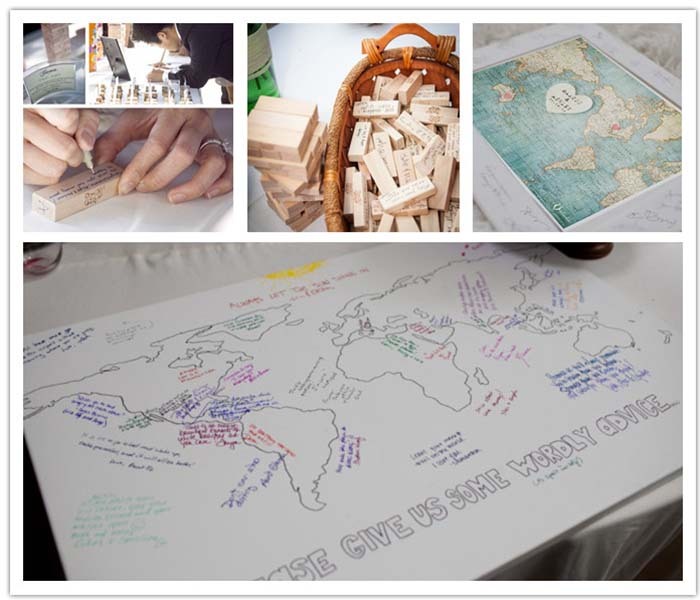 This entry was posted in wedding and tagged cheap interesting wedding, different wedding, happyinvitation.com, interesting wedding, interesting wedding items, wedding invitations on October 15, 2016 by happyinvitation. 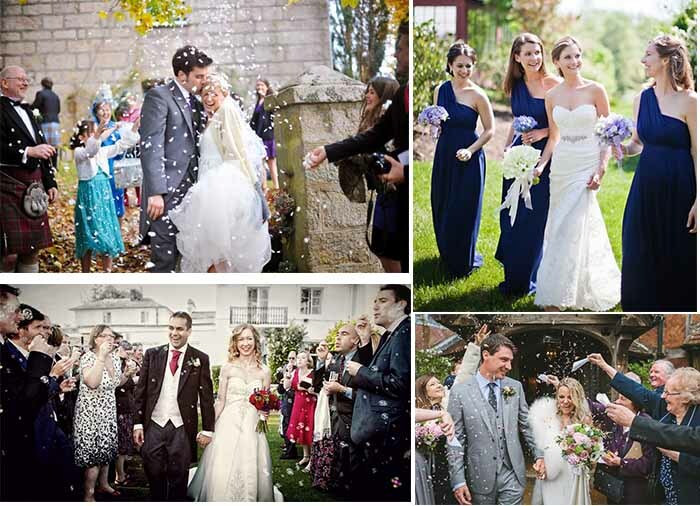 When look at these gorgeous wedding dresses, you will strong feel to get married at once. 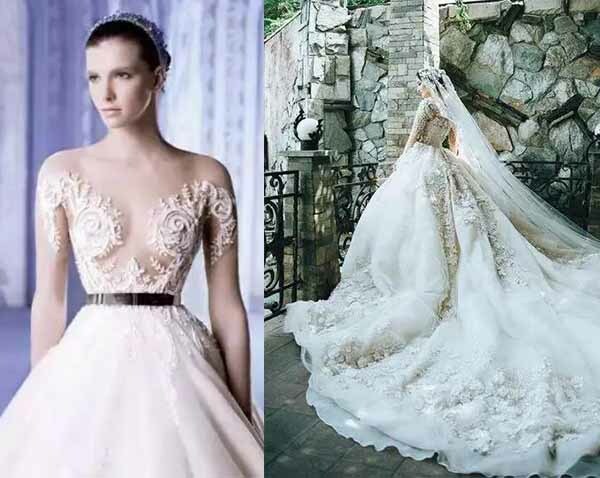 Decorated with crystal, extravagant wedding dresses! 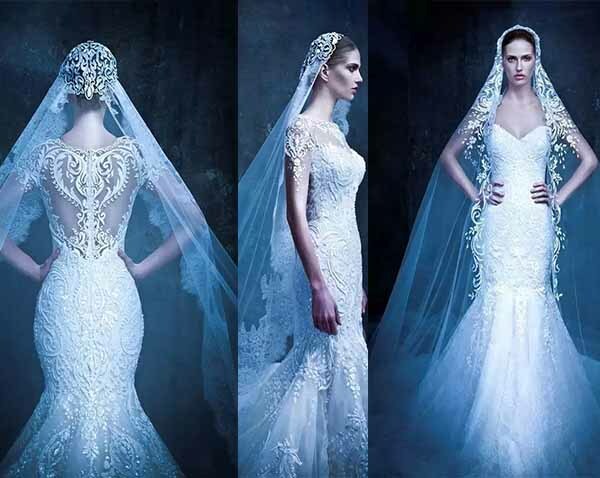 Fairy tale lace with hollow wedding dresses like your see in your dream. 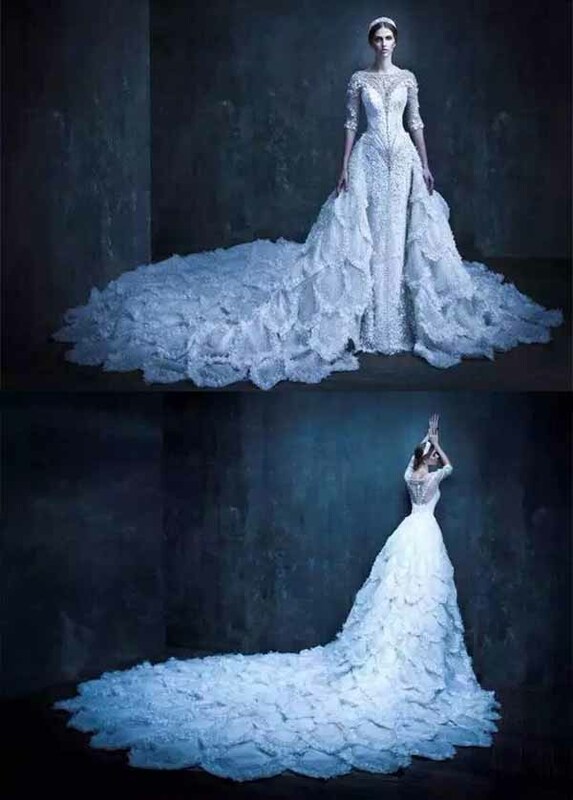 And except, there also have fresh beautiful white gauze dresses~! 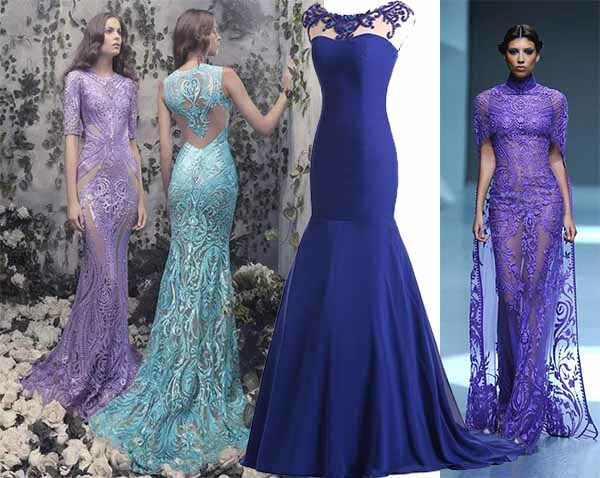 Every girl can’t resistant them for their excelsior details~; you are the most beautiful leading ladies. 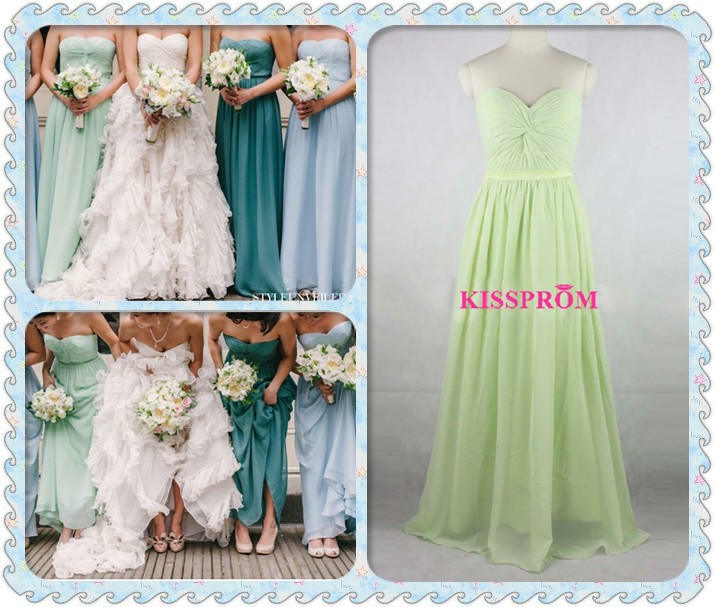 Also your girls also need beautiful bridesmaid dresses to stand by your side. 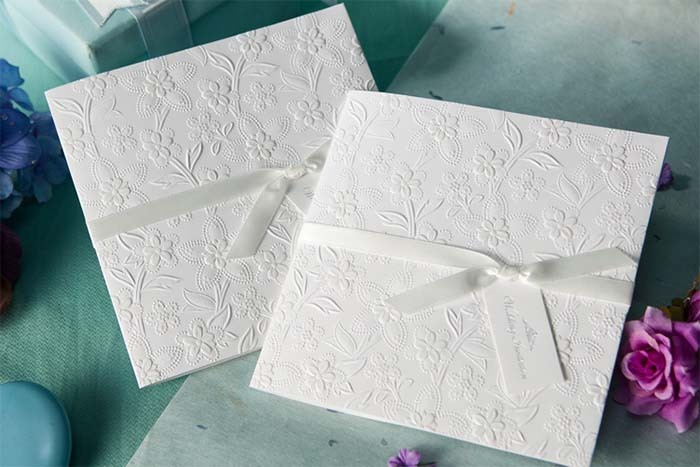 Can’t wait to getting married now, and then start your perfect wedding with our best wedding invitations first. 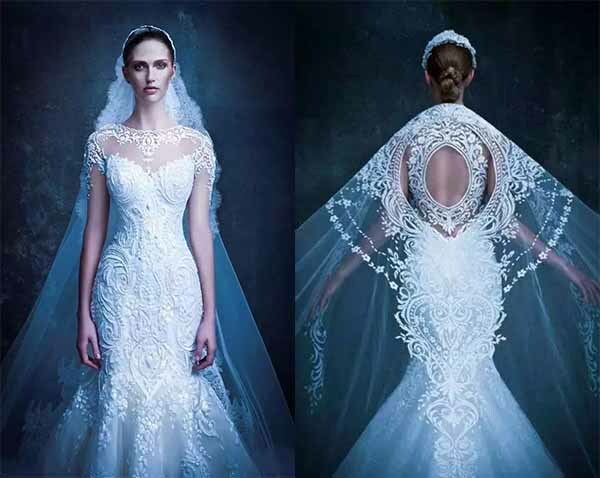 This entry was posted in wedding and tagged amazing wedding dresses, breathtaking wedding dresses, crystal wedding dresses, wedding dresses, wedding gowns, wedding invitations on April 5, 2016 by happyinvitation. 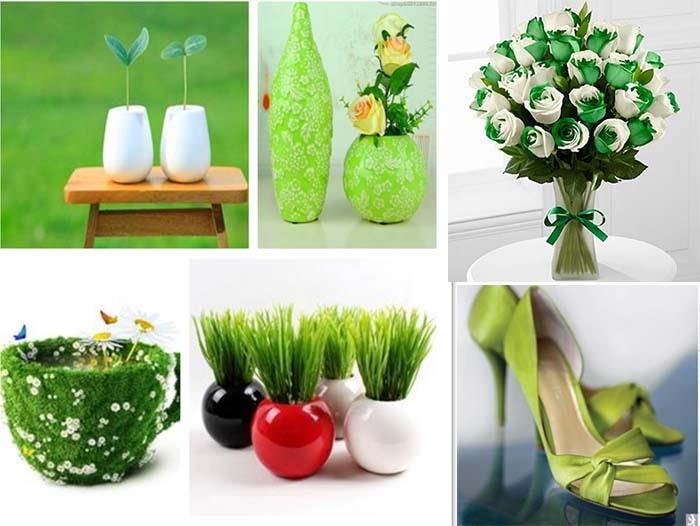 Thinking about spring, color green come up to mind at once, green grass, green shoots, green the smell of air, it is the best choice of perfect spring wedding. 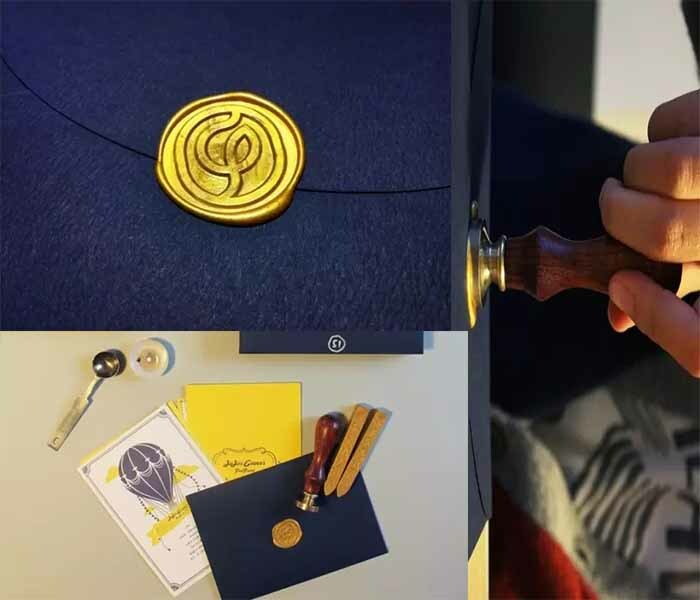 It is the embodiment of vitality. 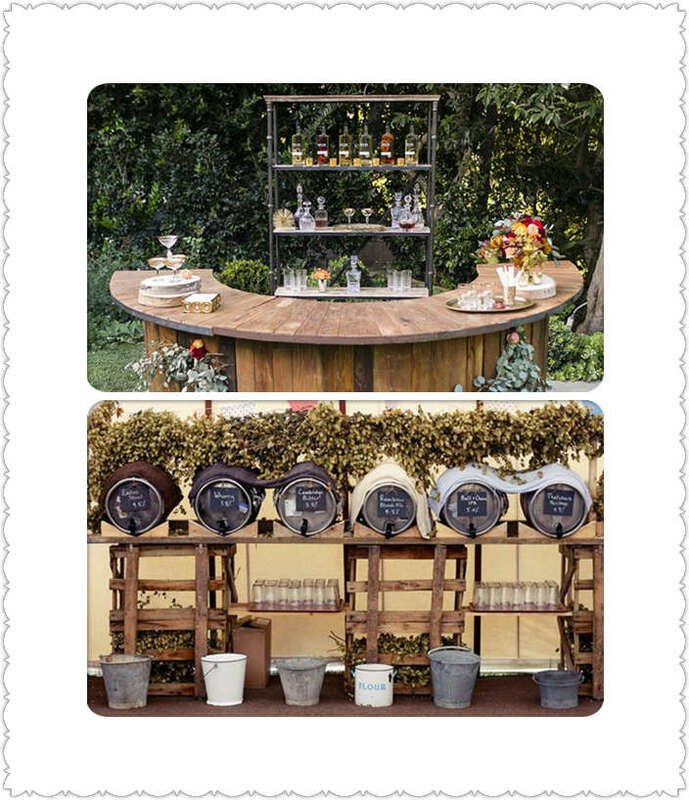 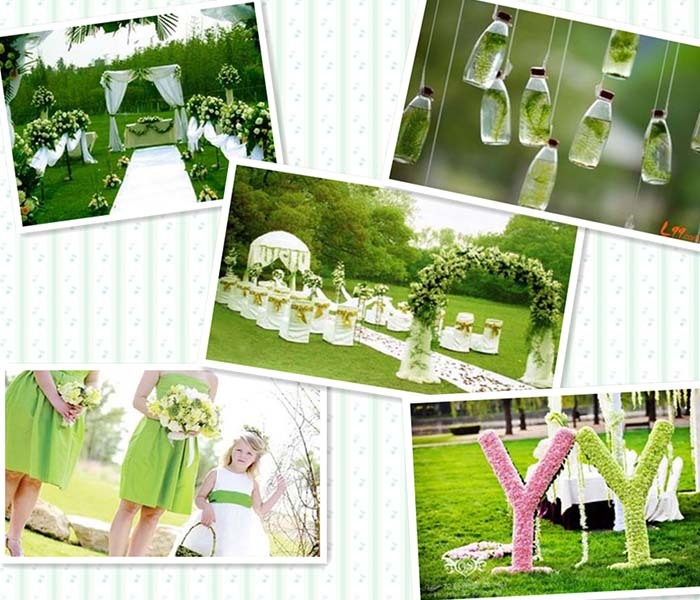 Near to nature outdoor wedding is modern ideas of spring wedding. 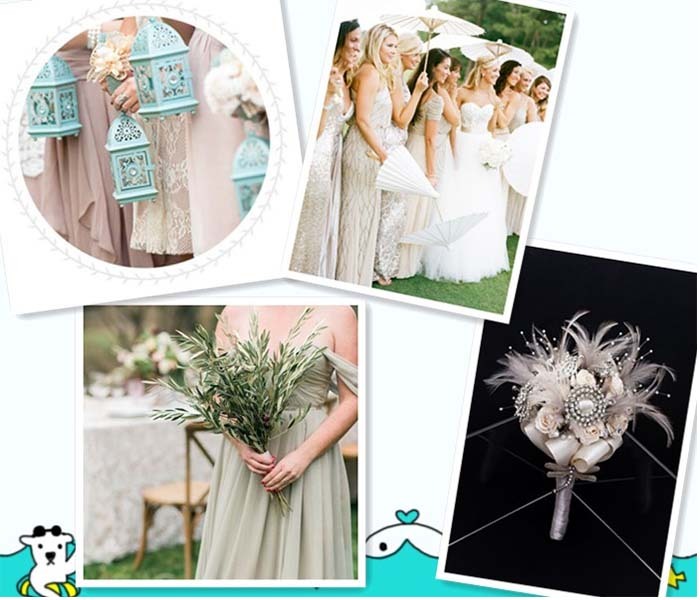 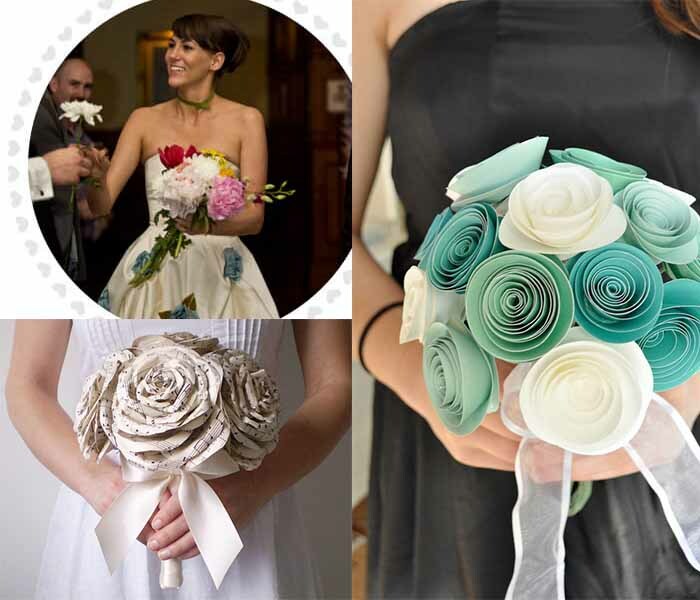 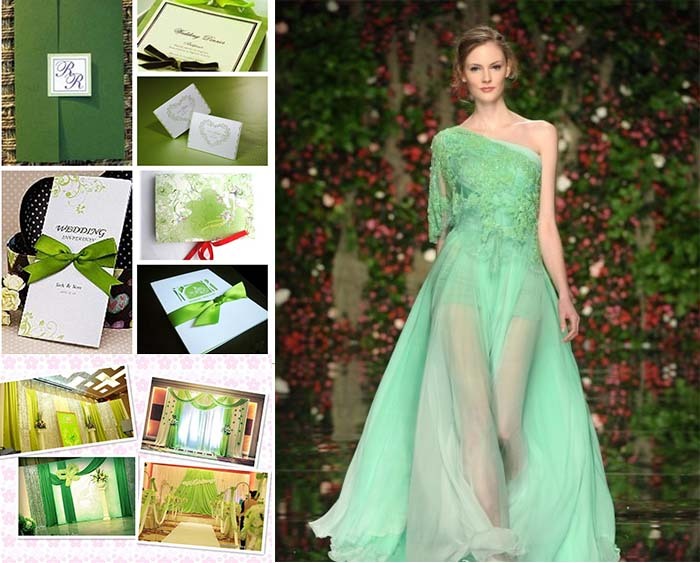 Green wedding invitations, prepared green wedding dresses, green bridesmaid dresses, green groom suit, sweet and fresh wedding cakes and deserts, and other green spot decoration, you will have a special unforgettable spring wedding party. 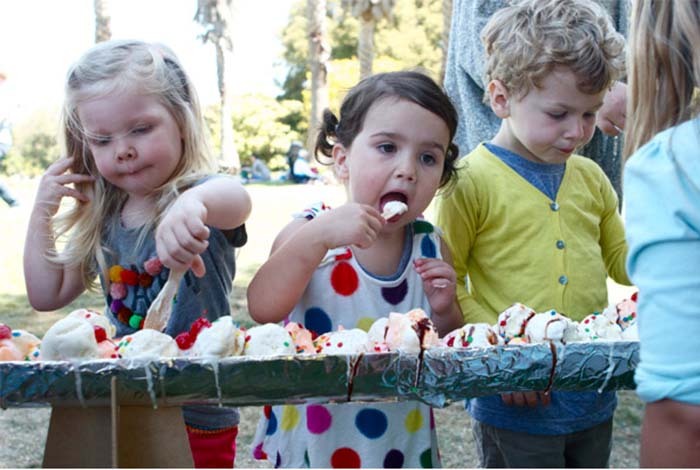 In addition, vegetables and fruits may be healthier. 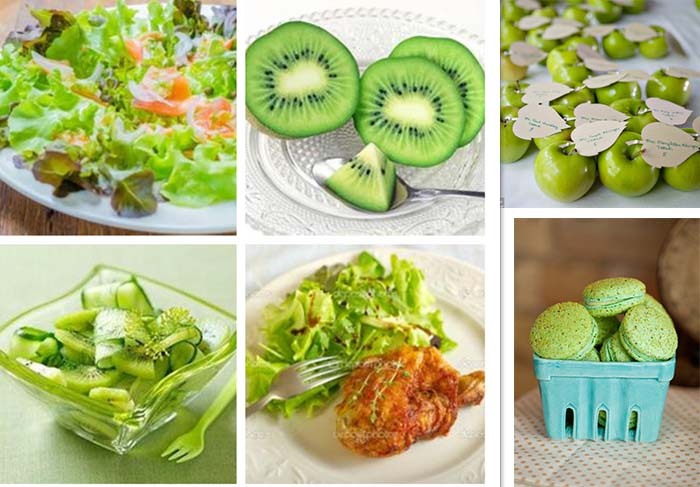 The idea gets rid of the past banquet, provides lower calorific power, good to our body. 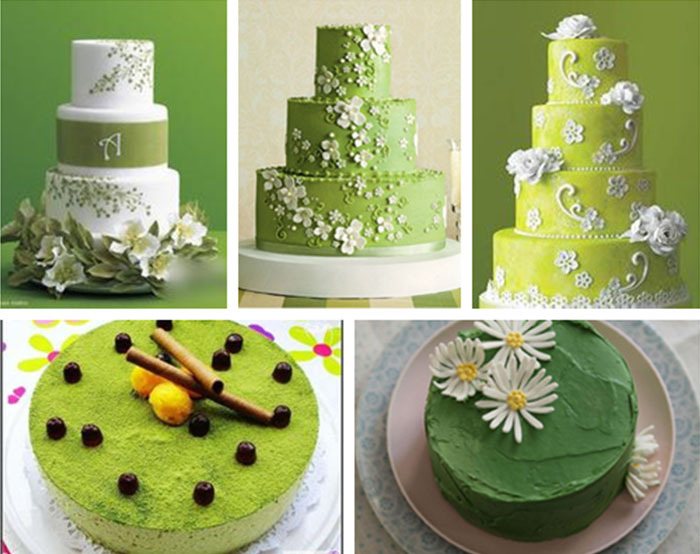 Let us enjoy the green spring wedding! 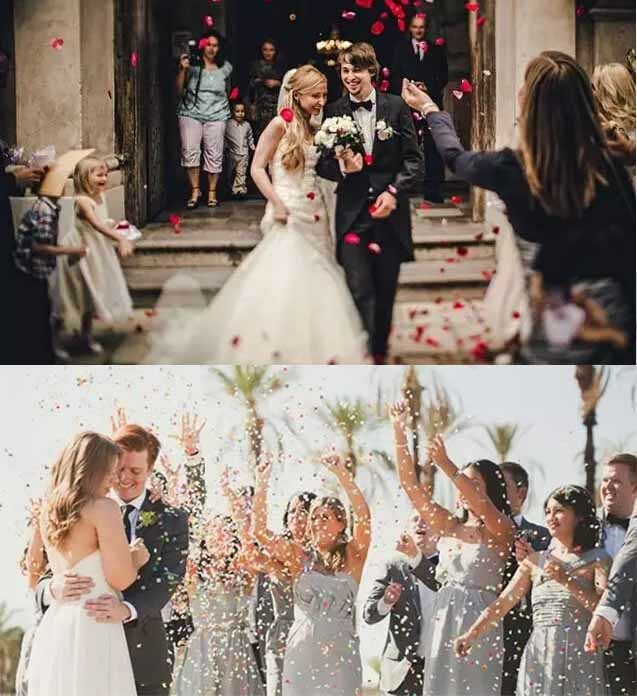 Happy forever! 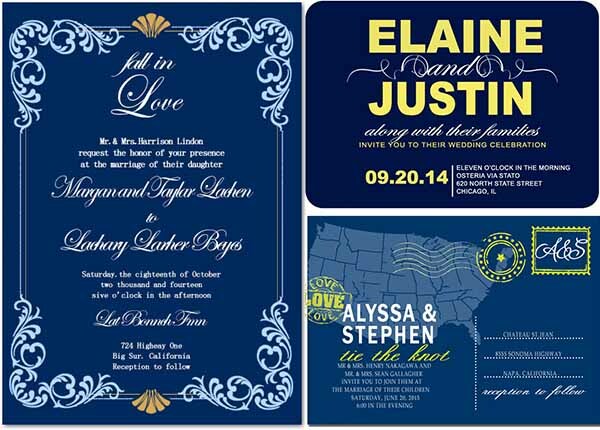 This entry was posted in invitations, wedding, Wedding Invitation Trends, Wedding Themes and tagged happyinvitation, spring wedding, spring wedding invitation, wedding ideas, wedding invitations on March 27, 2015 by happyinvitation. 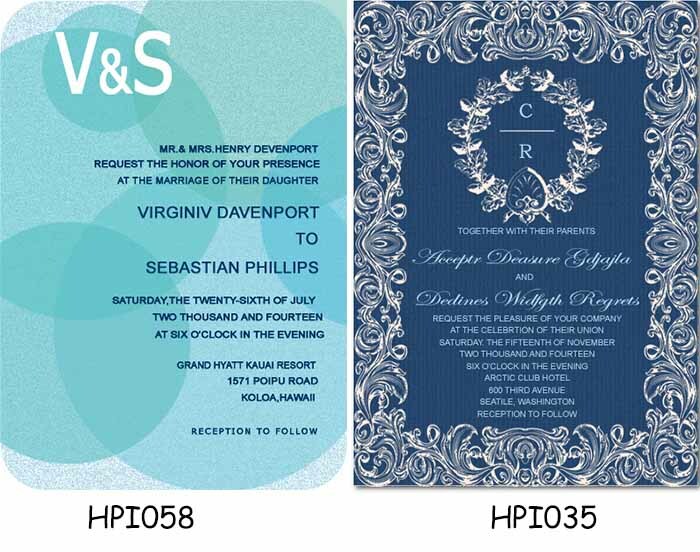 After settling down the theme or color of wedding party, you maybe begin to consider the wedding invitations. 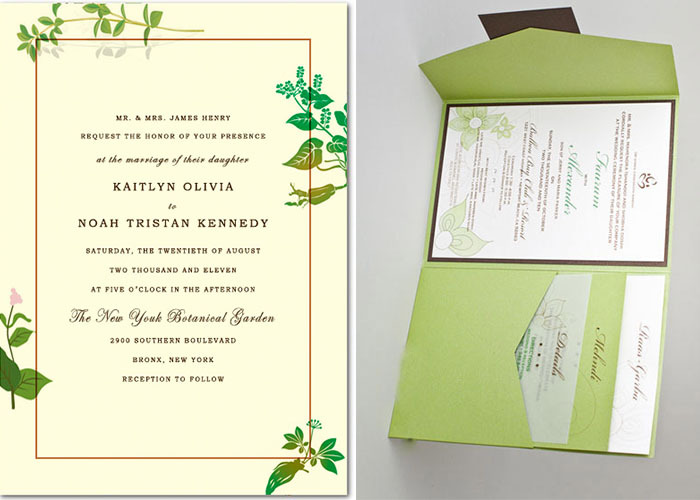 There are many and many styles wedding invitations for you to choose online, but if you didn’t find your favorite, then what you can do next? 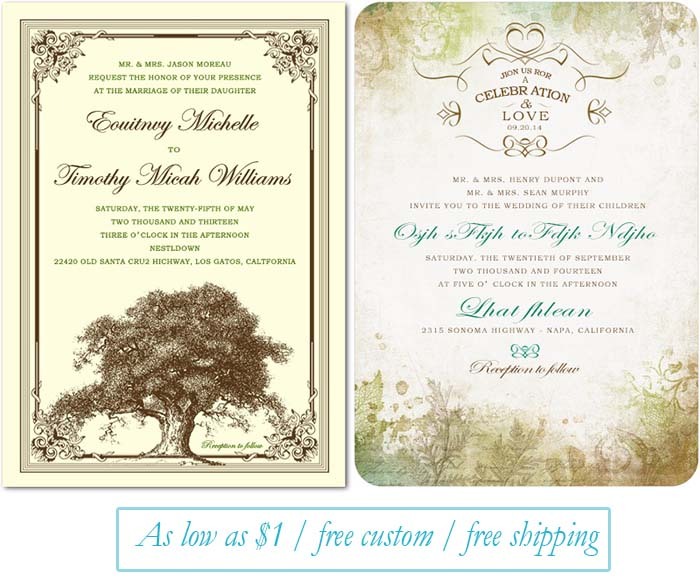 You can DIY your own wedding invitations yourself, what you need include a computer, Photoshop, cardstock (like Halftone Paper Cardstock, Pearl Luster Cardstock and Premium Thick White Cardstock) and a printer. 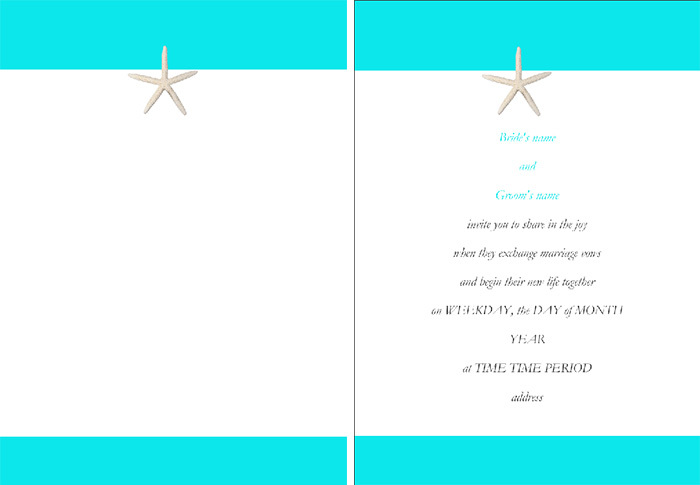 First, we google Tiffany blue color, download the picture as background or part of the invitation. 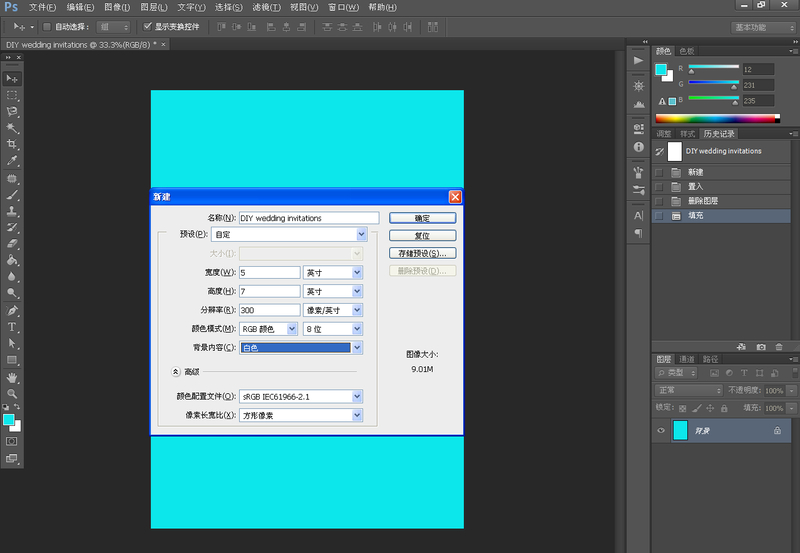 Next, open Photoshop and create a new file with the width and height you want, fill in the background with the color download before. 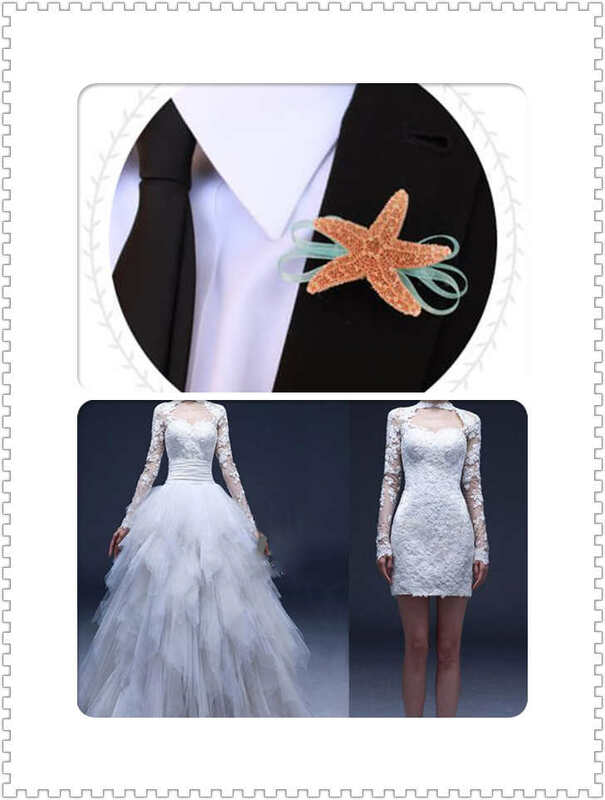 Then, search elements represent the beach wedding, such as starfish, conch and coconut tree. 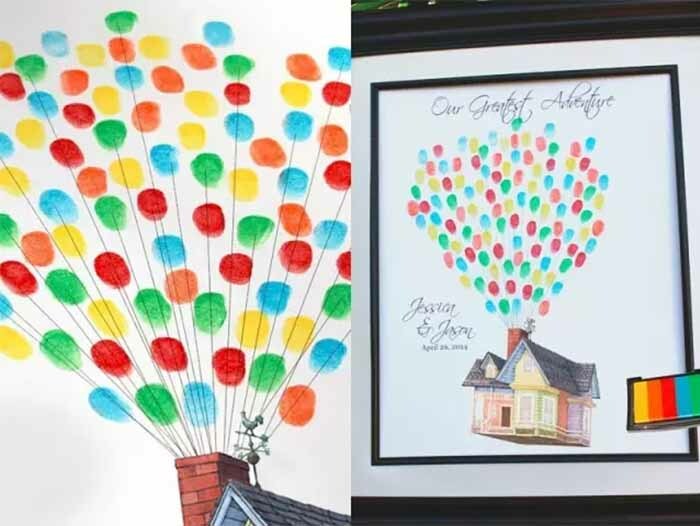 Next, use your own wording. 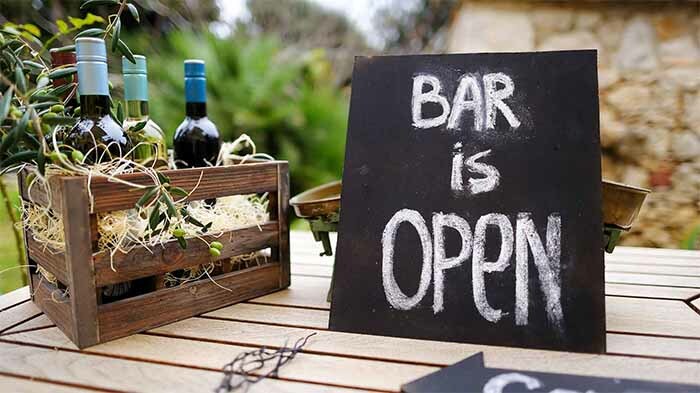 You can google wording too if you don’t know the wording. 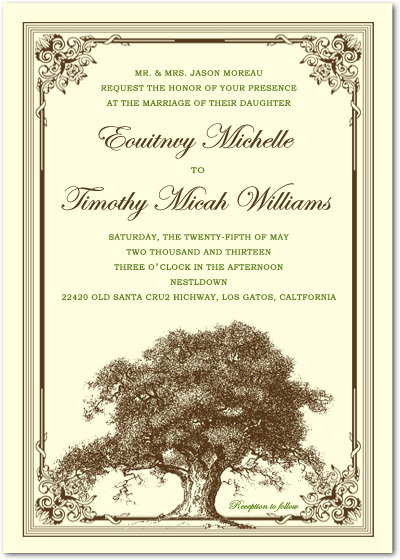 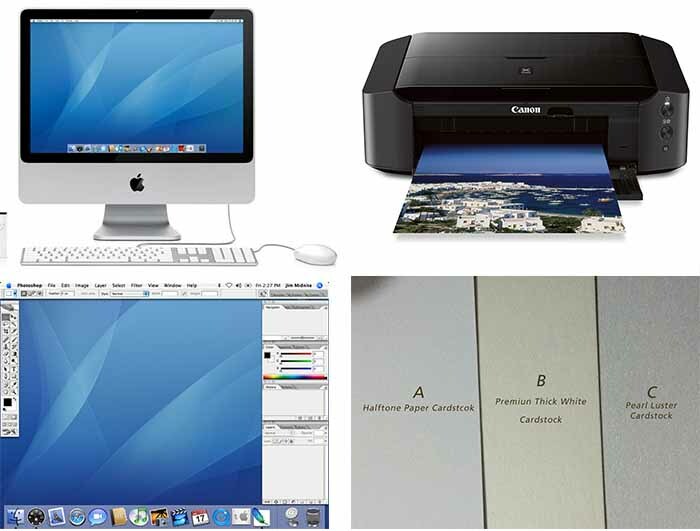 Last, print the invitation out with the printer. 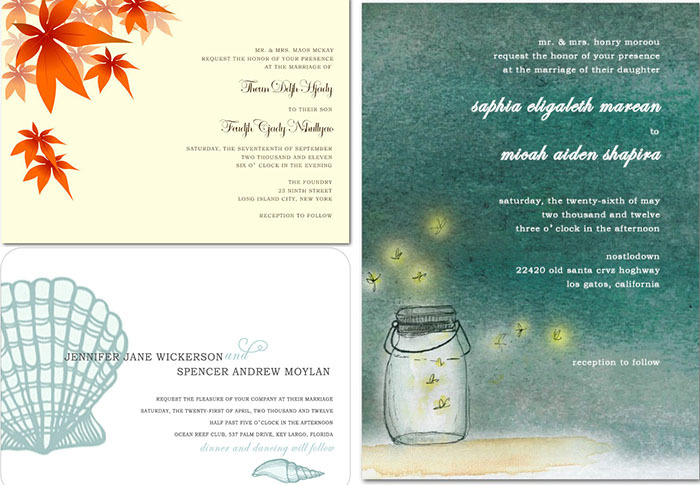 If you don’t have printer, find a local shop to print invitations out for you. 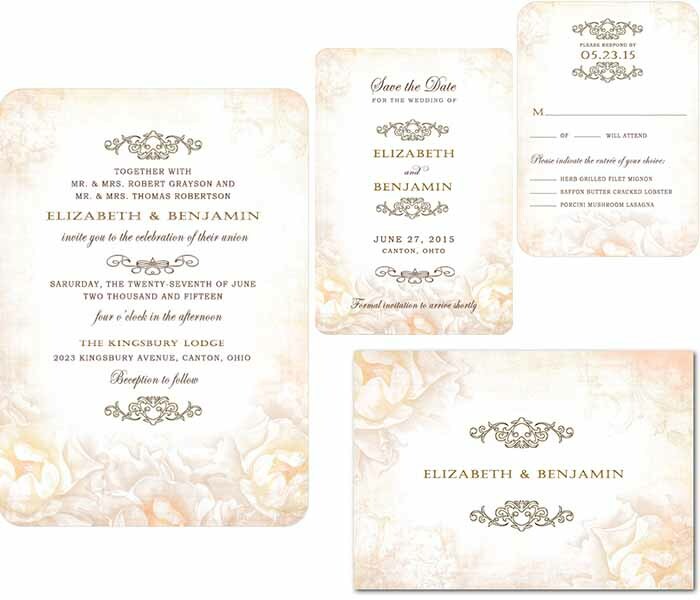 We Happyinvitation supply cheap wedding invitations with different styles, choose your own wedding invitation with your wedding colors or wedding theme. 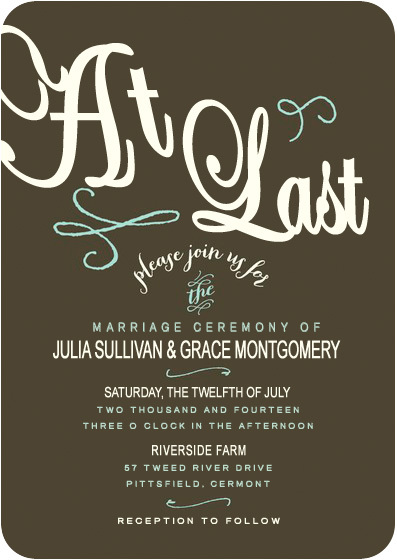 This entry was posted in invitations, wedding and tagged custom wedding invitations, DIY, happyinvitation, wedding invitations on September 27, 2014 by happyinvitation.